Better With A Book: Books for the little men in your life. Day 7! Books for the little men in your life. Day 7! Got some little gentlemen on your list this year? Check out these titles sure to entertain the little men in your life! Instead of visions of sugar plums, in his version of Moore's traditional version, Philip Yates' characters dream of treasure chests. Instead of eight tiny reindeer, Sir Peggedy rides on eight giant seahorses! A Pirate's Night Before Christmas is a unique version of the classic Christmas favorite including beautiful illustrations, clever rhyming and tons of pirate lingo. You and your little one will have an adventure every time you pull this one out to read! Arrghh! In his version of The 12 Days of Christmas, Nathan Hale speaks of three wrench hens and two turbo doves in The Twelve Bots of Christmas. We can really relate to "FIVE BOT-O-RIES", especially as Christmas approaches and more and more toys are requiring batteries. Just as in his other Christmas story, The Dinosaurs' Night Before Christmas, Hale's illustrations are amazingly detailed and fun to dive into each and every time you read! In The gingerbread Pirates, a little boy and his mother decide to make Pirate gingerbread men. At bedtime, the cookie comes to life and hears of a crazy gingerbread cookie eating monster named Santa! He then searches for his crew to plan an escape from this blasphemy! This is a cute little story that really tugs at your imagination! Have your students or children bake their own types of gingerbread cookies and send them on a unique adventure! What fun! 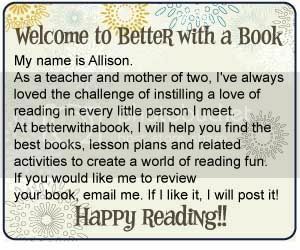 Thank you for such detailed reviews of books, as I am constantly looking for new interesting books for my son, because he likes to read.